In addition, you will be invited to attend the Awards evening at St John’s Hyde Park, London W2 along with industry experts and leading figures from the world of food and drink. The winners of the KitchenAid Home-Baker categories will each win a KitchenAid 4.8L Stand Mixer and an exclusive visit to the world-famous Tiptree fruit farm to see their vistas of strawberries, 150 year-old mulberry trees and the quince orchard. A date will be offered to the winners for a visit on a weekday (Monday – Friday) in September 2020. The winner of the Tiptree Patisserie Trainee Baker category will enjoy a day under the guidance of Daren McGrath, Managing Director of Tiptree Patisserie. The artisan cake and patisserie bakery based in Witham, Essex. Here they will have the chance to work with their team of bakers, chefs and cake decorators and experience all aspects of this commercial bakery, and the individual skill and attention that goes into their baking. All category winners will be invited to attend the Awards evening at St John’s Hyde Park, London W2 along with industry experts and leading figures from the world of food media. 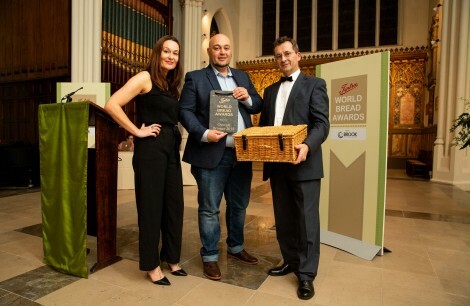 Everyone who enters the Tiptree World Bread Awards with Brook Food 2019 will automatically be entered into a prize draw for the chance to win a mixed case of 12 bottles of Toast Ale.